If there was a Nobel Prize for procrastination, I would win it. Like, every single year. This is my excuse for posting the Monday Make on a Tuesday, pretty lame huh? Anyway, I was rather busy playing with beads and jewellery making notions because I have lot of important sewing work to do of course. 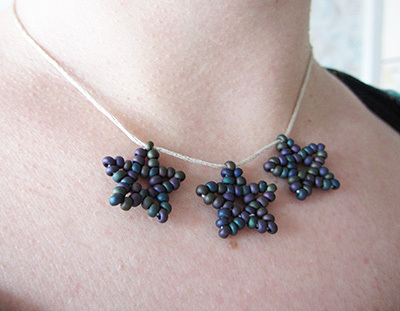 After a rather well behaved (money wise I mean) expedition to the Yellow Brick Road bead shop, I was able to tackle a tutorial I was dying to try for ages: the beaded stars by How did you make this? 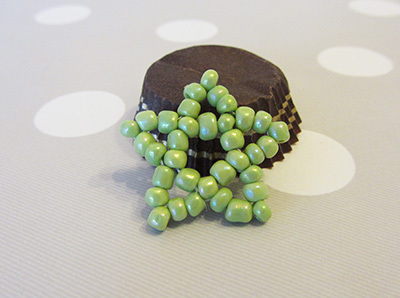 Armed with my new bead needle and thread, I first made a largish green one, and was so dedicated I even eat a chocolate or two to provide the star with a stand for the picture. 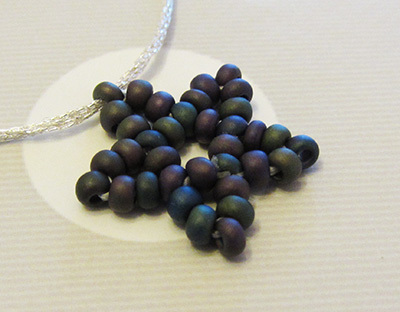 Then I made three smaller ones with beads I have for ages and never use because I love them too much. How silly is this? They have been to good use as they are now part of a necklace, thanks to some silver embroidery floss. I have to say I am quite delighted with myself. 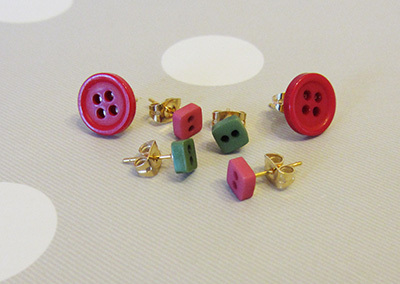 I also got gold plated earring studs so I made some button earrings because I am such a show off, always trying to demonstrate how much I love buttons, especially square ones. And I love to wear my craftiness on my ears, don’t you? I made four pairs, the pink ones are not shown on the picture because I am currently wearing them. Let’s hope I will eventually be able to make some real work. Anyway, I keep you posted! Wow – the stars are amazing. Who doesn’t love buttons? Great makes. I like this sort of procrastinating! !